So for the past week I sent out a few emails to you about the no-cost Total Business Growth Accelerator livecast that Dave Dee (Marketing Genius) of GKIC was hosting. Now I know some of you couldn’t be there, so I figured I’d share some of my notes with you… Ain’t I a swell guy? Not really in touch with customers and clients. No real differentiation in market. Failure to communicate value propositions (very important). Leadership not be able to come up with proven customer-getting streams. Integrate Offline and Online Marketing. When done properly, online and offline marketing will boost the other. You need to ‘Plant the Farm.’ Real Estate agents use this term when they ‘Farm’ a neighborhood with postcards, door hangers, etc. Designed to get prospects to take action. Get inside the head of your ideal prospect. First piece of info they want? What you call the title of your Magnet is VERY IMPORTANT! 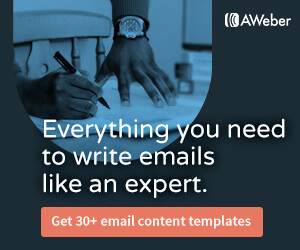 Drive to a Lead Capture Page (Be sure your headline is the same as on the marketing you used to get your prospects to your Lead Capture Page). All marketing needs to look the same! Thank You Page (Resells, Pre-frames what your prospects will be receiving, and teases them). Use a Shock ‘N Awe package. What to include in your Shock ‘N Awe package? 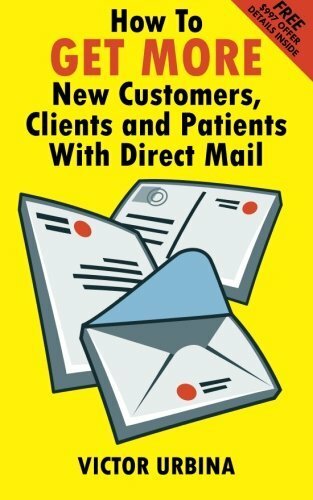 (Report, Book, Checklist, Newsletter, and Micro Salesletter). Be sure to have a Unique Follow-up (offline and online… be different from everyone else). How can you be unique with your Follow-up? 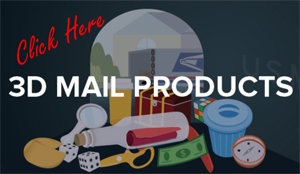 (Grabber and 3D Mailings, Email, Newsletters. You can see a video on 3D Mailings and Grabbers by Clicking Here). Number One Marketing Sin Is Being BORING! Use Themes (Based on what’s happening in the current month). Use Oversized Postcards (like the 8.5″ x 11″ postcards you can see by Clicking Here). Include picture of the theme. Be sure to have Inspirational Quotes. Have a Killer Offer and Call-to-Action (CTA). Lost Customer Reactivation should be done twice a year. Referral follow-ups should be done every Monday. Whelp, there you have it. Some notes for you to start thinking about so you can create your next marketing campaign. Again, if you have questions be sure to leave them in the comments below. Also, if you’d like, you can grab your copy of Marketing Guru Dan Kennedy’s book No B.S. 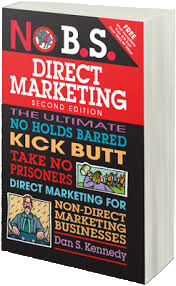 Direct Marketing and learn about the 10 Rules to Transforming Your Business into an Infinitely More Powerful Direct Marketing Business. All you have to do is pay $4.95 for shipping (yeah, the book itself doesn’t cost a dime) and it’ll be delivered to your door. 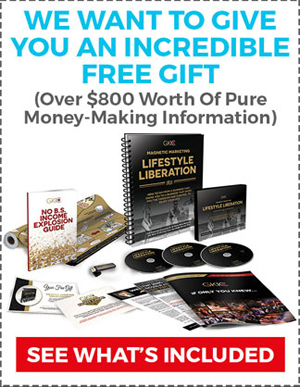 Get it now by Clicking Here or visiting www.NoBSDirectMarketing.com.